The incident occurred during a campus event held in Tucson on Tuesday, March 19, to provide criminal justice majors an opportunity to hear first-hand accounts of law enforcement efforts in border regions. “This is supposed to be a safe space for students but they allow an extension of the KKK into campus, an extension of the KKK into campus,” a voice on one of the videos could be heard saying. The university’s College Republicans issued a statement on the incident, as reported by The Daily Wire. 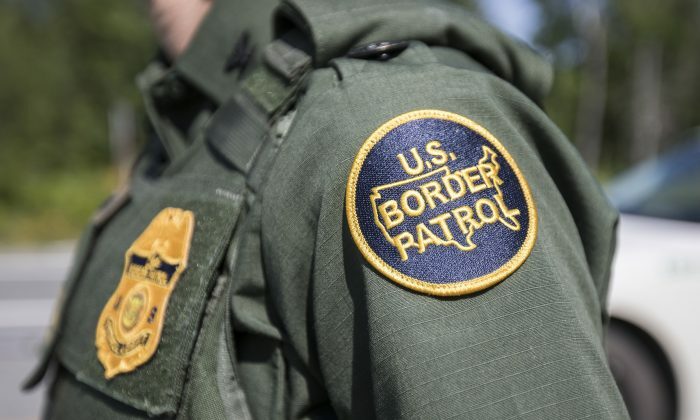 Students from the U of A’s Criminal Justice Association invited the agents, who were from the U.S. Customs and Border Protection agency, according to the Daily Wire. “There are students that pay to be here, pay to be here, that need this to be a safe space for them and we have the KKK and their supporters right here at the U of A,” the protester said. A female student inside the classroom listening to the talk invited the protester to sit in rather than stand outside the room and hurl abuse. “White woman and white man calling the police,” the protester added. The agents did not engage with the hecklers as they walked to the parking garage, got into their vehicle, and drove away. In November, now-presidential candidate Sen. Kamala Harris sparked outrage after she drew a comparison between ICE and the Ku Klux Klan during a Senate confirmation hearing. Harris’s comments brought charges of “disgusting” partisanship when she likened the way some people perceive ICE wielding its power to how the KKK used “fear and force” to effect political change through terror. The presidential hopeful made the remarks when questioning Ronald Vitiello, the acting director of ICE, at a Senate Homeland Security and Governmental Affairs Committee on Nov. 15, 2018.